Signet has combined the 9900 SmartPro® Transmitter with the 2350 Temperature sensors to create integral systems that are easy to order and simple to install. Also available in conductivity, flow, level and pressure configurations, each integral system features a 9900 Transmitter which provides a local ans easy to read LCD display. The push button keypad makes it easy to navigate through the transmitters menu. The DC-powered 9900 features a scale-able 4 to 20mA output and open collector for process control. The integral system is offered with a Signet 2350 Temperature sensor and is available in a range of -10°C to 100°C. Sensor installation is achieved into standard pipes via the ¾inch sensor threaded NPT process connection. 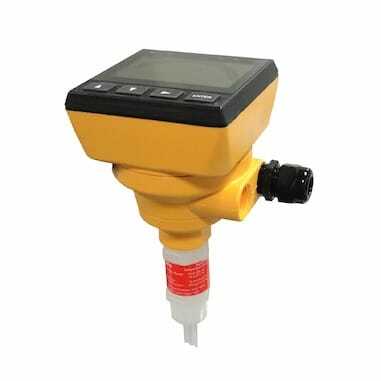 The sensor is available with PVDF wetted materials.